Great tips every filmmaker should know! 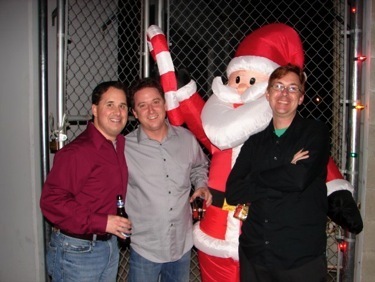 Eric Lalicata is an Emmy Award winning Supervising Sound Editor and Re-Recording Mixer specializing in sound supervision and sound mixing for television and feature films. Eric is the co-founder of Anarchy Post with Dan Snow, a veteran Post Operations executive with extensive film and music video production experience. As co-owners of Anarchy Post, along with film producer Ryan Harper, they strive to help filmmakers avoid many of the pitfalls that can plague the post audio process. Anarchy Post just won the MPSE GOLDEN REEL AWARD and CINEMA AUDIO SOCIETY AWARD for their work on Sony’s 30 Days of Night: Dark Days. We asked Dan and Eric to share some of their insights on what filmmakers should know to ensure a great sound design and mix for their projects. When you first meet with a filmmaker and watch their cut, tell us what you listen for first. What creative information do you need from a director? The very first thing we evaluate is the quality of the recorded dialogue. Is it noisy? Are all the actors equally covered by microphones? Is the level too low? After the initial evaluation, we need to determine how the audio was recorded and in what format it currently exists in. Is it file based or tape based? Do we need to digitize DAT tapes, or was the recording performed with a hard disc recorder. Or was the audio recorded straight to camera? (We do not suggest doing this unless you have a secondary recorder as well). If recorded on a hard disc recorder, (the preferred method) how many channels of audio were recorded? This can be anywhere from 1 to 16 tracks depending on the device used. Once we have this information, we can devise a plan on how best to handle your dialogue and evaluate the project for any additional ADR that may be required to replace unusable recordings. Once these technical issues have been considered, the discussion moves toward more creative subjects. How can a first time filmmaker creatively prepare for their first meeting with a sound mixer? What questions should a filmmaker be ready to answer from a first meeting. A lot of the initial conversation about a project will cover two areas; creative tone of the piece and then any technical issues we may foresee in achieving the desired tone. A filmmaker should be prepared to discuss themes, mood, influential styles of other filmmakers, cliche things to avoid, cliche things to include, specific sound design requests that may not be apparent just from watching the film and a list of added or changed dialogue lines (if any) for story purposes. What they do not need to worry about pointing out is every little movement or action that will require a sound. We do not need to be told to cover door opens, or glass pickups or footsteps etc. Those are pretty basic things that we will usually cover (depending on budget). Anything that may be out of the ordinary should be discussed. The sound of a creature, spaceship, special weapon or dream sequence, for example, would be very subjective and any initial direction is helpful to the sound effects editors. Most first time filmmakers do not know much about the technical aspects of sound recording and post mixing. How do you bridge the gap and help the filmmaker tell you what they want, when often they don’t have the same language you use? The burden is on us to use language and terminology that is easily understood by non-technical personnel. If something is unclear, the filmmaker should feel comfortable stating so. We sometimes forget that not everyone understands what we are talking about, because we do this everyday and they do not. We make every effort to explain the post process as clearly as possible. A big part of our job is to answer tech questions and to guide the filmmaker through the process. However, we can only answer questions if they are asked. So if something is confusing, the filmmaker should say something immediately to avoid any possible miscommunication that may result in mistakes that cost everyone time and money. We hear too many instances filmmakers moving into post sound without a proper spotting session in the attempt to save time/money, etc. Share your thoughts on the pros and cons of making that choice. Full spotting sessions are built into the cost of services at Anarchy Post. However, we do not do a full spot with a client until we are ready to commence work. We may watch portions of the film during an initial meeting with the filmmaker. After the first meeting, we will watch the entire film provided to us, without the client, in order to prepare a bid for services. After an agreement has been made, we spot the entire movie with the client. We find this to be the most practical process in evaluating the film. Since there is no additional cost to do a spotting session once we agree to work together, there is no reason why a filmmaker should try to skip this process. It seems that many filmmakers don’t understand that sound design and sound mixing are separate creative steps, and many assume that when they hire someone for sound mixing, they are automatically getting both processes. Can you tell us a bit about what filmmakers need to be clear they are asking for, and getting, in their post audio package? Yes, these are very different disciplines in the post sound profession. It is the equivalent to the differences between a race car driver and his pit crew. Both are trying to win the race, but each has their own roles to play in order to achieve the common goal. There are sound designers who can mix. There are some mixers who can sound design. However, the jobs are quite different and are not performed at the same time. There is some confusion over what is done by each sound person on a film. It is not practical for me to list all the differences here, but I can give a quick summary of each position and their responsibilities and how things work at Anarchy Post. 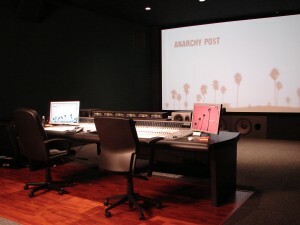 Sound Supervisor– At Anarchy Post, the Sound Supervisor is the main contact person for the overall audio post process. They meet clients, spot the film, prepare the bid, hire the editing and mixing staff, schedule the services and supervise the final delivery in the correct formats. Supervising Sound Editor– This person does perform sound editing, but usually in a supervising capacity. They are responsible for preparing and providing the sounds that will be mixed into the show by the mixer. In addition, the Supervising Sound Editor is responsible for any sound editing that is not covered by another sound position. For example, the cueing of ADR may be performed by this person if an ADR Supervisor is not hired. Re-Recording Mixer- This person, commonly called “The Mixer” is responsible for mixing together all the sound elements prepared and provided by the other sound personnel. This process, called “The Mix” or “The Dub”, is what is commonly thought of when filmmakers envision the post sound process. However, this process only takes place after all the other sound departments have finished their work. This is both a highly technical and creative process. The mixer sculpts the sound of the film based on experience and direction from the filmmaker. All the while, maintaining the sound within industry standard technical parameters for a smooth delivery. The mixer does not usually have the time, nor the toolset, to design sound during the mix. Their job is to “drive the race car” across the finish line. Not fill the gas tank or change the tires. Sound Designer– The sound designer title means different things to different people. It is commonly used to describe a person who “designs” the sound of a film. However, since post sound is a collaboration of many talented people (including the filmmaker), Anarchy Post refers to a Sound Designer as someone who creates special sounds that can not be easily recorded or that do not currently exist in a natural space. Creatures, space ships, time warps etc are examples of sounds that would fall in this category. SFX Editor- This person is responsible for adding “practical” or “hard” effect sounds to the project. Examples would be door opens and closes, car drive bys, background ambiences, gunfire, animal sounds, airplanes, helicopters etc. DX Editor– The dialogue editor is responsible for managing all the recorded sound from the on set production. This person organizes the tracks by character for each scene and prepares the tracks for the mixer. They check lip sync, find the best sounding track for each line and smooth out transitions between takes with fades and fill. The DX editor may also prepare ADR lines for review by the Supervising Sound Editor or ADR Supervisor. ADR Mixer- This person records the ADR and Voiceover for the film. ADR Editor- This person edits the ADR takes for sync and prepares “Alternate takes” for use during the mix. Often this role is performed by the DX Editor. 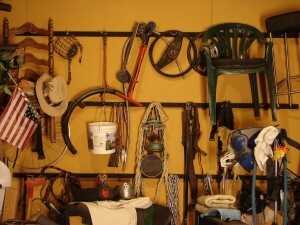 Foley Artist & Foley Mixer– The Foley team is usually comprised of two people, the artist, or “walker”, and the mixer. Occasionally the team will have a second artist to help with busy shows. The Foley team is responsible for re-enacting the action on screen by any character. Sounds that would be associated with any action that is performed by or interacts with a character, is recorded in sync to picture by the Foley Team. These sounds may include, footsteps, hand grabs of props, clothing rustle, chair movement, key jingles, throwing or catching an object etc. Foley recording provides quicker coverage than editing in every sound, and also allows each project to have it’s own unique sound, as each performance by the artist would be slightly different than the last. How has digital production changed the way you work over the past five years? Unfortunately, it is commonly thought that “digital” means faster or cheaper. When in fact, a digital workflow really means “better quality”. Yes, some time has been saved with new digital workflows compared to analog workflows. However, the quality of the sound mix has increased dramatically as well. We are able to create more elaborate sound design while maintaining the utmost flexibility for changes. I have not seen any major changes to the digital sound workflow in the last five years, other than decreasing budgets because people think things are done easier or quicker. While this is the case in some areas, it does not accurately reflect the entire post sound process. There have been great strides made in the Digital Video workflow within the last five years, however. Ironically, the new flexibility and functionality in the video editing systems can mean more work for the team. In the past making a picture change involved a lot of re-work that cost time and money. The ability to change a picture cut digitally seems simple enough, until you take into account the ripple affect it has on all the sound work that has been done to the original picture version. Picture changes after the sound work has started casts the filmmaker money. Obviously, we do not recommend doing this, but we understand that things happen in the life of a film, so we are prepared to make whatever changes need to be made. Documentation is key when making changes. Exact frames need to be tracked. Expect this to cost extra. What are several common mistakes that filmmakers are making in production sound that impact the post sound process? The number one mistake we see all the time is not hiring a competent, experienced sound team for on-set recordings. It is tempting to hand someone a boom pole and record straight to camera, but this always ends in disaster. Sound recording is an art form, just as much as composing a shot with a camera. It should be treated equally. Sound is half of the movie experience. You see and hear a film. Hiring the cheapest sound team is always tempting. But remember you get what you pay for. If you want good sound, you’re going to have to pay for it eventually. Either upfront by hiring a good production sound team, or later in post by paying for excessive noise reduction or ADR. Neither of these ever sound as good as properly recorded sound in the first place. Please…hire a good sound team for your shoots. A bad sound track can make even the most beautifully shot movie appear unprofessional to your audience. There is nothing worse than having poorly recorded dialogue distract the moviegoer from the story you are trying to tell. No lav or body mics on all the actors in a scene, wardrobe rubbing up against body mics, no boom mic covering the scene, not providing isolated mic channels for post (a mix of all the mics should be made but we need the ISOs too) , recording straight to camera but no one is monitoring the sound being recorded by the camera, shooting in noisy environments that can’t be controlled (busy city sidewalks for instance), actors talking over other actors when not in the shot, background actors talking in scenes, not covering bare floors with pieces of carpet, the electrical generator too close to set and can be heard in the background, not turning off appliances in kitchen scenes, not turning off air conditioners during takes, excessive camera noise, actors whispering instead of using a “stage whisper”, crew members moving around off camera during takes. What are some tips for filmmakers to get great sound on set and prepare for an awesome sound mix? Like I said previously, do not skimp on your crew budget for sound. If you only pay three people on the entire crew, it should be the camera operator, sound mixer and boom operator. A good sound team removes the need for the filmmaker to worry about the sound. This allows the filmmaker to focus on other creative tasks at hand. A good sound team can be trusted to make sure the proper number of microphones are deployed for each scene. They will handle all the file management, time-code rates and other technical requirements to ensure that the sound is delivered to post correctly. They will work as a team with the picture department in order to capture the best dialogue possible in every scene. Your movie deserves to sound good. Hire someone who will ensure that the first step in a good soundtrack is done correctly. Often filmmakers hire the guy willing to come help out for the rate on low budget shows. What questions should filmmakers be asking to help assess if this sound guy will get the job done right? The cost of not getting it right can be so crippling – how can a filmmaker be better prepared? For most filmmakers, making movies is not a hobby. It is their profession. Thus, as a professional filmmaker, you should be hiring professionals in as many positions as possible. If you only care about making a movie for fun, then get whomever you want to do whatever they want to do. If you are making a film in the hopes of being paid for your work, or being hired for a bigger production because of your work, then invest the money in the project that is required to hire the talent needed to make a professional result. It is perplexing why filmmakers make low budget choices in such important areas. Would you ask a surgeon to operate on you for free? How about fixing your car? Would you just let anyone who may have some tools work on your cars engine? A professional production sound team will provide their own equipment. The will build their rig based on the needs of your production. They know what they need and why. Do not buy or rent your own equipment and then try to find someone to use it. Trust them when they say they need another take for sound. Allow them the freedom to ask for another take for sound. Check their resume and references. Listen to films they have worked on. Ask them to provide a reel if you can’t verify any of their credits. A professional post sound job usually requires the efforts of more than one person. Be wary of the sound guy, working out of his apartment, promising you a great mix. This person may have experience in one or two areas of sound, but they will always be limited to how much they can do for you. 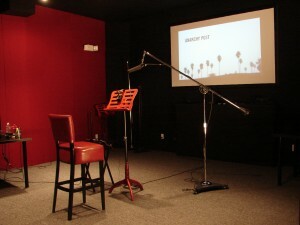 A proper mix room is required in order for the film to sound good in many different environments. ADR is often needed and should be expertly recorded, edited and mixed in. Dialogue clean up is both a highly technical and creative process that requires expensive tools and years of experience in order to sound natural. Foley needs to be considered for depth of coverage for domestic versions, but is essential to have for full movement coverage for a foreign distribution of your film. If you hope to sell your film to a distributor, a fully filled Music and Effects mix is required. This can only be achieved by recording foley for your film. There is more to a great mix than adding a few sound effects and laying in music. Trying to save money is understandable. Having a proper amount budgeted for the services your film requires is paramount. Before production begins, talk with a post facility about estimated costs involved with finishing a film.